Cleveland, OH – Congresswoman Stephanie Tubbs-Jones has reportedly had a massive aneurysm and remains on life support Wednesday morning at Huron Road Hospital. And, What’s Up with Ms Tubbs-Jones? All kinds of questions floating around tonight and into the wee hours. Tubbs-Jones was taken to Huron Road Hospital in East Cleveland last evening following an incident of some sort. Huron Road is a relatively small hospital. I’m surprised Tubbs-Jones didn’t go to the University Hospital which is near East Cleveland. The story from WOIO-19 in Cleveland is from the AP wire. But – I don’t know what to make of this part of the story. The Cleveland Heights police department is to put out a news release in the morning about the incident. WOIO Channel 19 is reporting that Tubbs Jones was behind the wheel of a car moving fast in Cleveland Heights. Police tried to pull her over but she was unconscious. Now this makes more sense. About 9 p.m., a police officer noticed a Chrysler driven by Tubbs Jones driving erratically eastbound on Mayfield Road. The car turned left on Lee Road and the officer tried to pull over Tubbs Jones’ car. The car stopped near Burlington Road near Forest Hills Park. When the officer approached the car, it began slowly rolling forward and veered into the opposite lane. There was no oncoming traffic. The officer caught up to the car and saw Tubbs Jones unconscious but breathing. She was taken to Huron Hospital by emergency personnel. There are several medical conditions that can manifest themselves into losing consciousness, the most common of which is diabetes-related. I don’t know if Tubbs-Jones has diabetes or any medical condition that hindered her driving. I wish a speedy recovery. Filed under: Politics, Women |	Comments Off on And, What’s Up with Ms Tubbs-Jones? I heard this interview on PBS this morning – Fresh Air – apparently it’s a rerun. 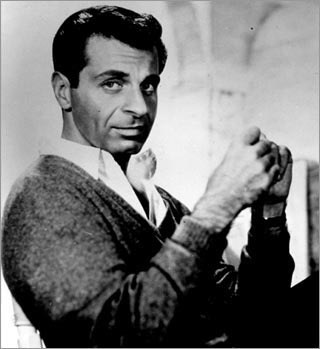 Political comedic satirist – Mort Sahl. I don’t know if I’ve known about him and simply forgotten or never knew. ‘I’m not a liberal, I’m a radical.’ Perfect, just perfect. Simply put, Mort Sahl reinvented stand-up comedy. And, he found the press compliant in 2003…. he was also on the teaching staff as a visiting professor at Claremont McKenna College in the fall of 2007, teaching a class entitled, ‘The Revolutionary’s Handbook.’ I’ve actually heard of this particular college having looked into the Claremont School of Theology a bit ago which is also under the Claremont colleges umbrella. Filed under: Mort Sahl, Political Comedy |	Comments Off on A Misfit in Society?